David Mines, a summer 2016 Ph.D. graduate from the College of Education, followed an unlikely path to Auburn. Growing up in Uniontown, a small Perry County community in the heart of the Alabama Black Belt, Mines met an inspiring Extension Agent, Richard Smith, who got the inquisitive fourth grader involved in 4H, with an emphasis on leadership and public speaking. Mines is in a unique position to share that feeling of outreach and support. 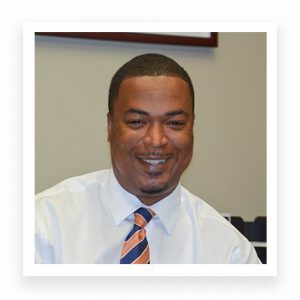 He serves as Auburn’s Senior Associate Athletics Director for Internal Operations and Inclusion. Mines has recently been charged to develop a strategic plan for inclusion in the Athletics Department. The strategic plan has three parts. The first goal is to continue to foster a culture of inclusion for Auburn athletes so no matter where they come from, they feel a part of the Auburn experience. The plan also includes providing professional development opportunities for all staff members to continue growing the leadership base. The goal is for every employee to feel a part of this process, and have opportunities to contribute to the department’s success. Mines said the biggest barrier facing Auburn’s student-athletes is time.